Former UKIP leader Nigel Farage says PM Theresa May’s decision to call a snap general election shows the Conservatives are “genuinely scared” of the “slew of by-elections coming down the pipeline” due to their “massive overspending” in 2015. During Farage’s LBC radio show on Tuesday, the MEP said he wasn’t “particularly surprised” that May called the early election because she wants to “legitimize her position,” and now makes the most sense to do that given her strong position in the polls, he says. But more importantly, Farage says, the Conservatives are “genuinely scared” and “desperate to stop the threat” of the “12 to 20” upcoming by-elections as a result of the party’s “massive overspending” during the 2015 general election. Farage went on to quote Channel 4’s Michael Crick, who claimed the Crown Prosecution Service are considering charges against up to 30 individuals, some sitting members of parliament, who “willfully” broke election spending laws. The 10-month investigation into the alleged fiddling of expenses in the last nationwide vote is nearing the deadline for police action within two years after the election. “The logic for holding this election has been there for months, they’ve done it now to avoid embarrassment. That, I think, is the real reason they’ve done it,” said Farage. When asked if Farage himself would consider throwing his hat in the race, Farage said he has “not decided yet” if he would be “more effective” to stay put in the European Parliament and monitor Brexit negotiations. “Where best could I serve Brexit? 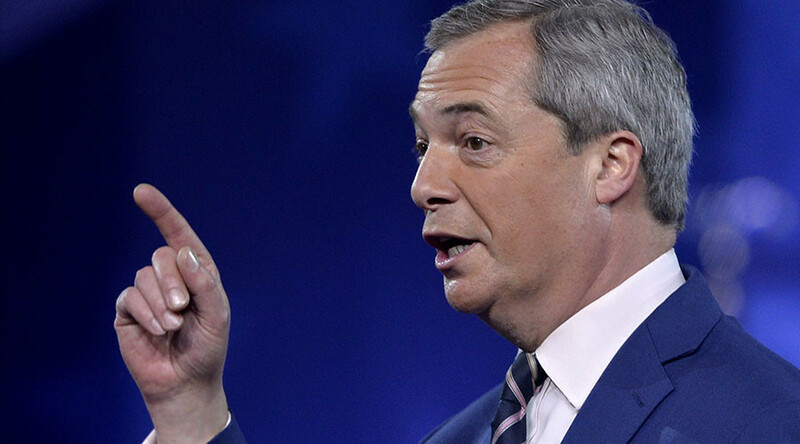 Could I serve it by running and trying to win that South Thanet seat, or could I serve it best by continuing where I am, leading a group in the European Parliament?” Farage asked listeners. “I will spend the next couple of days working it out."